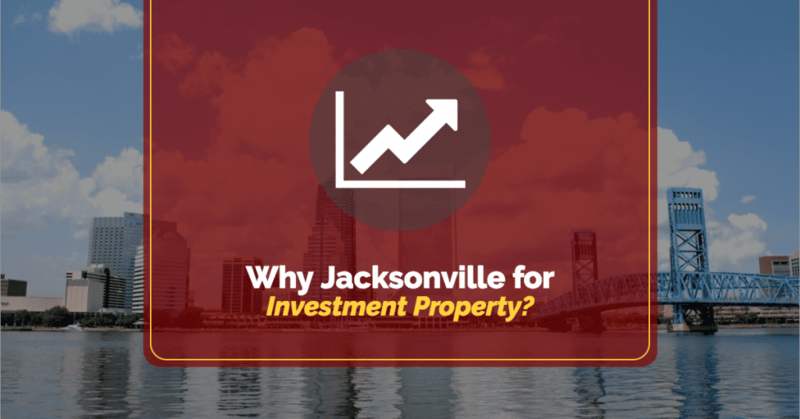 Why Jacksonville for Investment Property? There is great opportunity for real estate investors in Jacksonville, Florida. Renters are attracted to this city due to its revitalized economy and job market. The housing market in Jacksonville has, and continues to be surging with the need of those who are looking to find a home. The strong demand for housing creates a great opportunity for investors like you in this market. Investors can earn a consistent income from rental property, and it is a great way for you to diversify your investments outside the traditional places (such as stocks and bonds.) Many of the usual markets for real estate investing have greatly increased their prices, which makes it harder for some investors to justify buying properties where they will not make much of an income. Jacksonville is one of many markets that are still growing and yet more affordable for investors. The growth in the job market is one main reason for the population boom in Florida. In a survey conducted by Chief Executive Magazine, only Texas has a “more compelling business climate” than Florida. Information in the survey examined taxation and regulatory issues, in addition to workforce quality. From February to March of 2015, Florida added 292,700 jobs (according to the Bureau of Labor Statistics.) Jacksonville had a large part in that growth with the population of the city increasing by 2.5 percent. Housing market prices have not increased there like other places where growth has exploded. It may do so in the future. Unlike stocks, that fluctuate in value, real estate investments (long term) help protect your money by holding value and providing rental income. In single family rental markets that are strong, you have options and the opportunity to buy and hold properties. Jacksonville’s real estate market is becoming tighter because of this popularity and growth. There are still good prices to be had on properties, but the inventory is dipping. There is good demand, but prices could be on the rise soon. That is why it is important for you to make a decision and act on it if you are considering a real estate investment purchase in Jacksonville. Due to its current growth and the outlook projected by researchers and collectors of demographic data (such as “Sperlings Best Places”) Jacksonville looks to increase job availability by greater than 42 percent over the next ten years. A wise move by investors in the real estate market would be to buy now to take advantage of that growth and housing need. If you are new to real estate investing, then let JWB Real Estate Capital help you with our turn key investing process. We have an experienced team to take care of the hassles associated with investing in real estate, while you enjoy the benefits. Learn more about our turnkey investment properties and how we can help you strengthen your portfolio.